I absolutely loved the decor of this unit. Everything was themed with the tropical island feel. I felt like I was in Pier1 heaven. The reason for rating this only four stars is because of several things: 1) the living room furniture needs new cushions or new couches all together. The padding seemed worn and wasn't that comfortable to sit too long; 2) one of the guest showers when used made this high pitched sound throughout your whole shower - annoying to say the least; 3) there should be instructions or noted in an email on how to operate the TV and going back and forth from cable TV to Netflix, Hulu &amp; Amazon. It took us a few days to figure it out. It also needs to be noted on how to turn on the Master Bath/Shower combo. At first, we thought it didn't work so we texted the island contact person to let him know. When we didn't receive a response a few hours later, I decided to call him instead. He said that the shower works perfectly fine and that he always gets this same complaint and he was sending the maintenance guy anyway to check it out. It turns out the bath handle needs to be pulled out to work...I was turning the knob (just like my bathtub at home). My suggestion is that if this is a common concern from renters, then perhaps it should be disclosed. 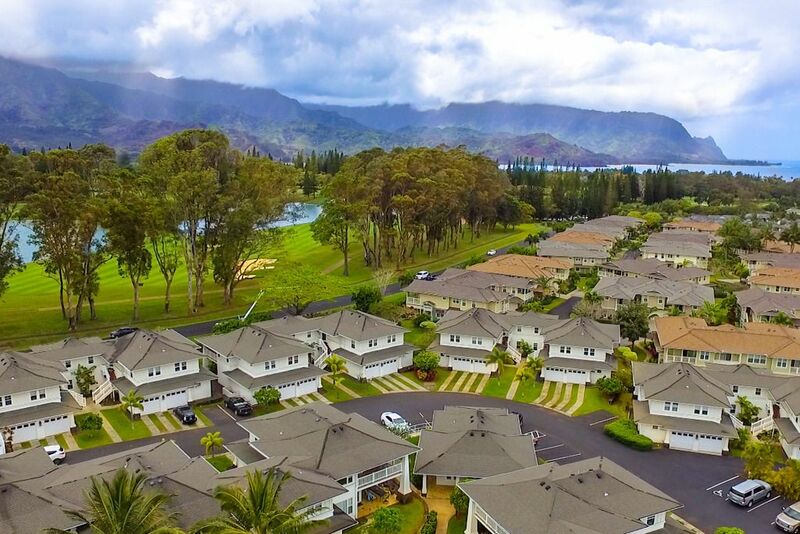 Aloha Mary,Thank you so much for all the wonderful comments on your review for the condo 1221 at the Plantation at Princeville. We are glad you felt there was everything you needed and you appreciated the design and decor. We do try to supply extra amenties such as the beach chairs for our guests convenience. The kitchen does have more than most vacation rentals hoping to put that extra touch. You mentioned the couch might need replacement but actually that couch is just a couple years old so it has been replaced already. We wish you would have let us know about the pitch in the shower as we could have had someone come by to take a look at that. The shower handle is pretty standard but maybe you just have not ever used one like it? For the most part shower handles turn left or right but if it is one piece handle, sometimes you have to pull out first.The TV cable is Spectrum so it works like the standard Spectrum remotes. The amenity included with the condo is just the cable TV. We do not offer the Netfilx options etc as those are all paid individually by any given person. If guests have a subscriptions to features such as Netflix, they are ususally familiar with those options if they use them often at home and with their own password and ID can usually pull them up on any TV.Thank you again for you feedback and we do hope you can come again!